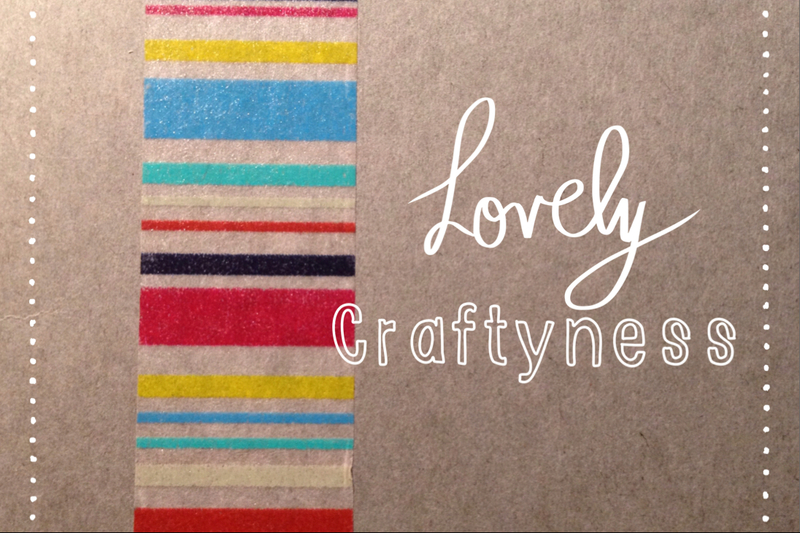 I don’t know about you but I like a little bit of craftiness every now and again. I especially love it when I get to give someone the end result, whether it be a quick origami gift tag, or a project that has had hours/days/weeks of love poured into it. There’s something special about being able to say ‘I made this for you’. It can also come in very handy if you’re working to a tight budget but still want to give something meaningful. So with that in mind, and with valentines day just around the corner I’ve pulled together a quick round up of some of my favourite crafty projects and romantic ideas to help show your love for someone special, whether that be your significant other, friends or family. These mini wash tape gift cards from How About Orange are super cute – I’ve made one of these for every day this week in the run up to valentines and left them for hubby to find with little treats like a chocolate heart or a packet of his favourite sweets, he loves it and it’s a great way to tell someone they’re special (whether it be valentines or not!) How about making one for a friend who needs a little pick me up? 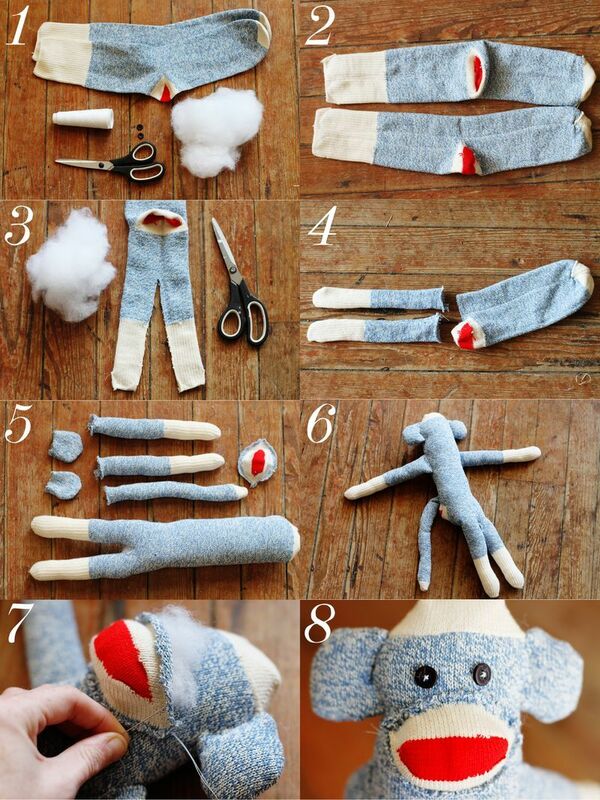 If you’ve got a bit more time why not try making one of these sock monkeys! Easy and fairly quick if you’re good with a needle and thread, and can be easily personalised by adding initials or a little heart embellishment. Also makes a great present for kids! If you’re looking for a fun ‘extra’ gift then why not create some love vouchers. You could include vouchers for breakfast in bed, film night with popcorn (their choice of course! ), anything you fancy. And if you like the idea but don’t know what to put on them you could help your self to these free printable ones from I Heart Nap Time. You’re welcome. Is a big night out beyond your budget? Plan a night in instead! Find a basket/tote bag or similar and fill with a bottle of something, some chocolates/popcorm/other sweet treat, a film, some candles and anything else you can think of for a romantic night in, then snuggle up on the sofa and enjoy a cosy evening. Have a look at these cuddle kits for inspiration. You could also pair this with making your own pizza – grab some pizza bases and your favourite toppings from the supermarket and have some fun in the kitchen! Finally a really sweet gift idea to show someone all the little (and big) reasons why you love them. Turn a deck of cards into a mini book – 52 Things I love About You. We all appreciate being told we are loved so how lovely would it be to read it 52 times written on a pretty pack of cards! If you have any other love spreading crafts or ideas then please share in the comments. I hope you’re feeling loved this week.